Would You Like To Win A $2000+ Book Pack This Christmas? We’ve got a MASSIVE sack full of books worth over $2000 to give away to one lucky customer! And we’re not talking about a pile of slow-moving titles; we’re talking 40+ new release, best-selling titles, including books by Ian Rankin, Geraldine Brooks, Donna Hay, Jo Nesbo, Tom Keneally, Shaun Tan, Bill Bryson, Peter FitzSimons, Adam Spencer, Robert Harris, Kate Atkinson and Don Winslow. Imagine landing this fantastic sack of books in time for Christmas! How do I enter? It’s easy! 1. Order a book from Boomerang Books between now and 5pm AEST on Friday 18 December 2015. 2. At the checkout, enter and activate the promotional code santassack (or any of the other qualifying promotional codes that we publicise between now and Christmas). 3. Using the promotional code on your order will give you an entry in the Santa’s Sack draw PLUS you’ll get free shipping on your order (a saving of $6.95). The more orders you place, the more entries you get in the draw! Looking for great gifts to buy for your Dad? Books make fantastic gifts for Father‘s Day! And to make your job easier, we’ve released our 2015 Father‘s Day Catalogue. If you order from our Father‘s Day Catalogue before midnight on Sunday 30 August, you’ll get FREE shipping on your order when you use the promotional code code 4dad at the checkout. PLUS, by using the promo code, you’ll also go into the draw to win a Father‘s Day book hamper worth over $1000. 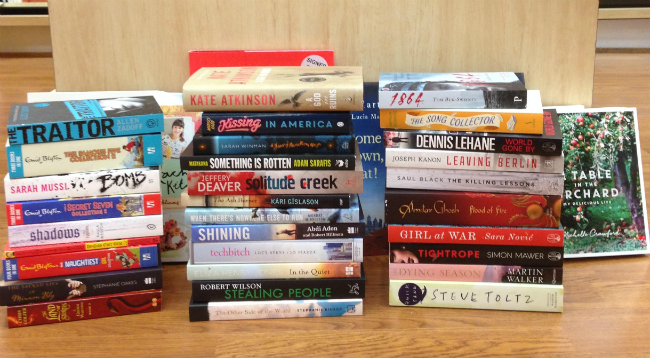 Tell us your favourite book of 2014 and WIN! 2014 is drawing to a close and what another fantastic year of books and reading it has been. 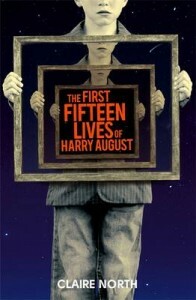 To celebrate we are giving away 8 copies of one of our favourite books of 2014; The First Fifteen Lives of Harry August by Claire North (you can read our review here). All you have to do is tell your favourite book of 2014. Entries close 5pm AEST Friday December 19. 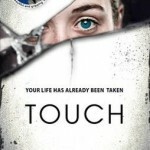 And if you’ve already read The First Fifteen Lives of Harry August look out for her new novel, Touch, due out in March 2015. Posted on December 1, 2014 November 24, 2014 Author Boomerang BooksCategories Book NewsTags 2014, best books, best of 2014, Book Giveaway, books of the year, giveaway, win8 Comments on Tell us your favourite book of 2014 and WIN! COMPETITION! ASK a question to WIN! 1. Head to My Little Story Corner and LIKE the page. 2. Find the Competition post, pinned at the top of the page. 3. 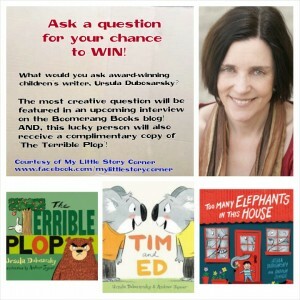 In the comments box, ask a very original and creative question that you would like Ursula Dubosarsky to answer. The question deemed most inventive will be the lucky winner of the interview feature (only first name will appear), and The Terrible Plop delivered to your door! Entries close 11.59PM AEST Sunday October 26, 2014. See pinned post in My Little Story Corner for details. This promotion is not endorsed or associated with Facebook. From the author of Too Many Elephants in This House and Tim and Ed, The Terrible Plop is another adorably hilarious classic. It involves a lot of manic animals; rabbits hopping furiously away from the Terrible PLOP, and a bear who won’t have a bar of it, until… it’s all too much to bear! With gorgeous rollicking rhyme by Dubosarsky, and equally whimsical illustrations by illustrator, Andrew Joyner. Posted on October 23, 2014 Author Romi SharpCategories Author Interviews, Book NewsTags Boomerang Books, COMPETITION, interview, My Little Story Corner, picture book, The Terrible Plop, Ursula Dubosarsky, win1 Comment on COMPETITION! ASK a question to WIN!